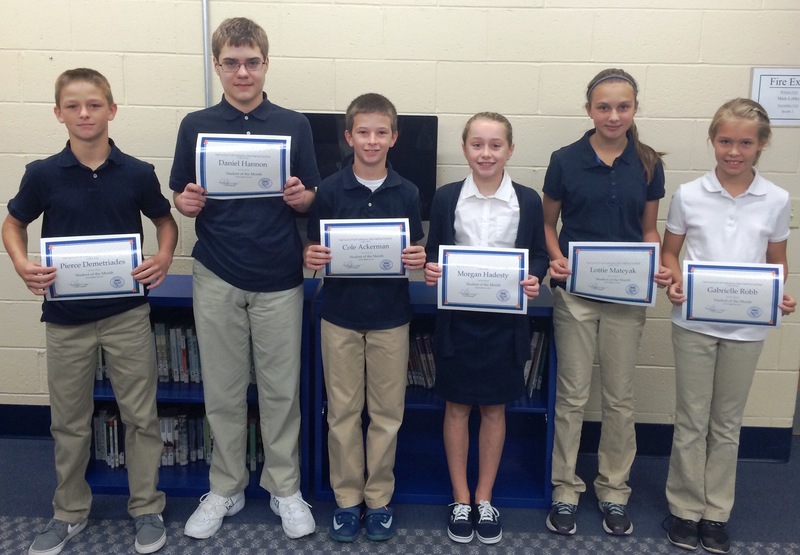 Tamaqua Area Middle School Principal Chris Czapla announced the middle school Students of the Month for September 2015. They were, left to right, Pierce Demetriades, 8th; Daniel Hannon, 7th; Cole Ackerman, 6th; Morgan Hadesty, 7th; Lottie Mateyak, 8th; and Gabrielle Robb, 6th. 83 students were nominated.